This has been one of those crazy busy weeks where I'm burning the candle at both ends and perhaps in the middle as well, so I didn't get much done in the area of research (if you've e-mailed me or commented on my blog, it may be a while before I respond). I started a post on my brickwall ancestor that I hope to get posted this weekend or early next week. It takes time to get all my information together in an organized and chronological manner. I heard from the producer of the Polar Bear documentary and she requested to use the note my great-grandfather kept on his person at all times "just in case" in her film, a request I was happy to grant. She is also going to send me an invitation to a Southern California screening of the film this summer. I have no idea if I will be able to attend, so I haven't even thought about overwhelming details of finding lodging and transportation while down there, etc. I did do a little playing around at FamilySearch Record Search and believe I've found a couple of records pertaining to two children of my ancestors, Nelson H. JOHNSON and Catherine MASSEY. Their daughter Martha was my 3rd-great-grandmother and I may have found two of Martha's four siblings, Henry and Susan. Next week, I hope to be able to spend more time in research. Wiersma, Wijbren Joukes. Undated. Digital copy privately held by Miriam Robbins Midkiff, [ADDRESS FOR PRIVATE USE], Spokane, Washington. 2009. Today's tip may not seem like it relates directly to getting more reader traffic to your blog, but I believe it is a way for your readers to connect to you and recognize you and your blog among the many other bloggers and genea-blogs out there. Now when I talk about your profile, I actually mean two things. The first is an image by which you would like to be recognized as a blogger, an icon that you can use as your profile picture on your blog and also on other social networking sites (we'll talk more about those in future posts). Most of us are visual learners and identify our favorite bloggers by their profile pictures. I have a hard time distinguishing between some of the 300+ Genea-Bloggers when they only have the default genderless profile icon instead of something I can associate them with. For this reason, you'll want to upload an image that your readers can identify as you wherever they may come across you on the Internet. 2. The Apple Option - While Apple uses a photograph of herself as a profile picture, the name "Apple" is a nom de plume--a pen name--which she substitutes for her real one. 3. The Jasia Option - Jasia uses a combination of the Chris Dunham and the Apple. She conceals part of her face with sunglasses and her camera and uses a pen name. Check out Jasia's comment on my post here to see her profile picture. 4. The footnoteMaven Option - fM does a twist on the Jasia by using a pen name but substituting a photograph of a favorite subject from her extensive vintage photo collection. 5. 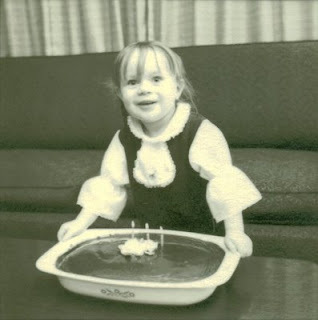 The Diane Rogers Option - Diane uses a photograph of herself as a young girl (one's baby picture is another verse of this same song). 6. The Lisa ~ Smallest Leaf Option - Lisa combines the use of a photo of inanimate objects (leaves and berries) with the use of her first name only. Other ideas include using a photograph of a pet. 7. The Bill West Option - Bill uses an ancestral photo for his profile pic--and really, when it comes to a genea-blogger's profile, what better idea is that? 8. The Jessica Oswalt Option - Jessica created a cartoonized image of herself, also known as an avatar, at Yahoo! for her profile picture. Besides using a profile picture, you may want to have a place somewhere on your blog that tells a little something about yourself, your writing, and/or your genealogical research. Don't you get curious to know more behind the face and the words of your favorite bloggers? I like to see what other hobbies they enjoy or other blogs they write. I like having an option to email them with questions or comments. Blogger sets up an About Me link that leads to a page which includes your profile picture, contact information, personal information (your choice as to the extent that you wish to share) and other blogs you may have. Word Press usually uses a linked tab to an About Me page in a similar manner. Not everyone is comfortable having a public profile, of course, but remember YOU control what information is displayed about yourself. You can also set up an email account for your contact information which is separate from your personal email address. So, how does creating a profile picture and About Me page increase traffic to your blog? It maintains the readership you have by creating a warm, social environment that your readers will want to return to and continue reading. You won't be losing readers by offering a bland, generic profile that doesn't help to distinguish you from others. Next time, we'll learn how that profile pic can be used for social networking purposes! Jessica Oswalt of Jessica's Genejournal has just posted the 15th Edition of the Carnival of Central and Eastern European Genealogy. The theme for this carnival was "History Books," and four bloggers submitted some good historical reads, non-fiction and fiction, that focused on this part of the globe. My submission was The Zion Covenant Series. If you are looking for some interesting winter reading take a look at these posts. The topic for the next edition will be a carousel, so all articles that focus on genealogy and Central and Eastern Europe will be accepted. Submissions are due on February 22, and the edition will be published on the 24th. You can submit your article here. For those of you new to genealogy blogging or blog carnivals, a carousel edition is a "choose your own topic" one. I'd like to challenge those of you who have never submitted a post to the CCEEG to do so next time (think about that New Year's Resolution you made to participate in more carnivals)! Do you have ancestors who once lived in territory now governed by the following modern governments: Germany, Poland, the Czech Republic, Slovenia, Slovakia, Greece, Turkey, Russia Federation, Lithuania, Latvia, Estonia, Belarus, the Ukraine, Austria, Hungary, Croatia, Serbia, Montenegro, Macedonia, Bulgaria, Romania, Moldova, Albania, Bosnia & Herzegovina? If you don't have ancestors from these locations, have you ever visited any of them--or wanted to? Are you interested in any of the history or art or architecture or foods or cultures of these locations? Have you a fascination with any of the ancient empires, such as the Byzantine Empire or the reign of Peter the Great of Russia? See! I'll bet you've already come up with some good ideas for posts for the next carnival! If you're feeling very brave, you might like to contact Jessica at her blog and sign up to be a carnival host for future editions. She's very busy during the school year with her college courses and really could use a hand. Let me tell you, being a carnival host is a great way to get a lot of readership to your blog (hint, hint)! Robbins, Miriam J. 1970. Metlakatla, Alaska. Photographed by Delores Klotz. 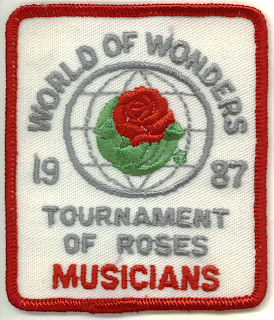 Original privately held by Miriam Robbins Midkiff, [ADDRESS FOR PRIVATE USE,] Spokane, Washington. 2009. Thank you to all who participated in today's Scanfest. At 24 attendees, including 9 newbies*, we had one of the largest groups so far! Didn't you all have a great time? Thank you to all of you who promoted Scanfest on your blogs or on your Facebook statuses, and apologies to those of you who had problems with Windows Live Messenger. Next month, I hope to use a new chat platform, so stay tuned to this blog for updates. I hope you all got started on your scanning projects for the New Year and will take some time to crop, label and file your images between now and Sunday, February 22nd, the date of our next Scanfest! As part of teaching me about my heritage as a child, my parents purchased many books about the Netherlands for me. These included some books about the Dutch resistance during World War II and about how the Holocaust affected Dutch Jews, even though my Dutch ancestors had all immigrated to the United States by 1885. As an older child and especially as a teen, I enjoyed reading both true stories and fiction about the Allied Resistance during World War II, especially when it involved hiding Jewish people from the horrors of the Holocaust. As a young woman, I heard about a new historical fiction series called the Zion Chronicles, set in Palestine in the late 1940s. This series was written by a husband-and-wife team, Brock and Bodie Thoene (TAY-nee) and chronicled the struggle to create a Jewish homeland by survivors of the Holocaust. However, I really didn't read any of the books in that series until much later, when I stumbled across another series of theirs, the Zion Covenant. The Zion Covenant series was written after the Zion Chronicles series, but went back in time with the same characters to the era of World War II. This series really defined the heart of the Thoenes and the passion they had to bring the horrors of the Holocaust to the world to remind us that we can never let this happen again. Brock Thoene was a professor of history and also has a degree in education. Bodie Thoene "began her writing career as a teen journalist for her local newspaper. Eventually her byline appeared in prestigious periodicals such as U.S. News and World Report, The American West, and The Saturday Evening Post. She also worked for John Wayne’s Batjac Productions (she’s best known as author of The Fall Guy) and ABC Circle Films as a writer and researcher. John Wayne described her as 'a writer with talent that captures the people and the times!' She has degrees in journalism and communications." Their telling moment came one day while sitting in a park and seeing a woman with a numbered tattoo on her wrist. Striking up a conversation with her, they discovered that she was a Jewish survivor of a concentration camp in Europe. This conversation in turn led to research and the eventual writing of many historical fiction books (45 as of this date) that stemmed from this encounter and eventual friendship with the Holocaust survivor. As I said, I did not appreciate the Thoene books until I discovered the Zion Covenant. Most of my reading about World War II and the Resistance was set in cities of Western Europe. The Zion Covenant series has nine books, five of which are set in major Central or Eastern European cities. The characters at the center of this series are all Jewish musicians. Some have been able to conceal their heritage because of their Aryan-looking features, while others must go into hiding because of the threat of the Gestapo. Through it all, the Thoenes weave the rich history of each of the cities into the story line, focusing on the architecture, art, historical figures and events that shaped each community, as well as how each dealt with the effects of the Nazi terror. I learned so much about these places and times that unfortunately have been ignored or passed over for larger events or Western cities in the history books. Some of the facts that were blended into the story lines included discovering that many Jews fought for Germany in World War I and were awarded medals for their service. These individuals were then stripped of their credit, their dignity, and eventually their lives during the reign of the Third Reich. Another tragedy was the loading of ships with Jewish passengers escaping German-occupied countries, hoping to find sanctuary in Western countries during the early part of the war. Turned away at many ports--including American ones--by governments in fear or apathy of "getting involved" before being swept by necessity into the war, these ships crisscrossed the Atlantic, avoiding German submarines and running low on fuel, food, and fresh water, before being destroyed or being forced to dock at unfriendly ports and having their passengers arrested and deported to concentration camps. Probably most compelling was learning how some who survived the Holocaust either by out-lasting their enemies in concentration camps or by spending the War in hiding, ended up being killed in Palestine by terrorist attacks as they tried to create a peaceful homeland after the War. While it's definitely important to read history from original documents and non-fiction texts, sometimes reading historical fiction written by those with great knowledge and passion for history helps frame it in a comprehensive and comprehensible way. From this vantage point, it becomes easier to understand more complicated non-fiction texts as well as understand current events that have been shaped by past ones. If you enjoy historical fiction, I know you will enjoy these books. One pleasant surprise has been how the Thoenes have woven the same family and heritage into each of their seven major series, so family historians will appreciate these as well. This series is available online or at major booksellers. Written for the 15th Edition of the Carnival of Central and Eastern European Genealogy - "History Books". Hands down, my biggest find this week was receiving the 72-page Civil War Veteran's Pension Application for my 4th-great-grandfather, Levi E. McLALLIN. In an earlier post, I spelled his surname "McCLELLAN," but his signature on many of the documents has established for me that this was the way he personally spelled it! What a treasure trove! First, I was amazed at the speed at which I received it, having ordered it December 26th online from the National Archives and having it arrive in my mailbox on January 19th! I have had experience with four other direct ancestors' pension files, so I knew what to expect for the most part, but also understood that some information I was seeking might not be forthcoming. There was such a nice amount of details given in this file that I was not too disappointed not to find anyone with the surname of CLEVELAND as a witness, hoping to find a quick connection for Levi's first wife--my ancestor--Clarissa Mary CLEVELAND. 1. His full name was Levi Edward McLALLIN; this, from only one document, created after his death by the family physician, Dr. A. THUERIER, who along with another family physician, Dr. Myron BATES, have become some of my genealogical angels due to the obscure yet vital details they left behind in this file! 2. He was born in Montgomery County, New York (unfortunately, no complete birthdate was given, so it still stands at "c. 1823"). 3. 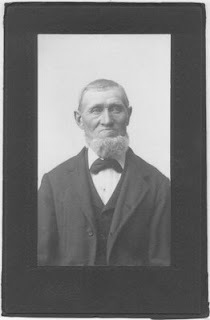 He married my ancestor, Clarissa Mary CLEVELAND, on 6 August 1848 in Cottrellville Twp., St. Clair Co., Michigan. From a sworn statement by the county clerk in 1885, who testified that the Justice of the Peace whose name appears on Levi and Clarissa's marriage certificate was indeed a serving in that county at the time, I discovered that the marriage record was never entered in the St. Clair County libers. A photocopy of the original marriage certificate is in this pension file! 4. While the majority of Levi and Clarissa's children, including my ancestor Cornelia McCLELLAN (this is how her name is normally spelled in documents), are not mentioned in the file, it does list the youngest child of Levi and Clarissa--Ira--quite frequently, since after Levi's death, financial support was needed to raise this minor child. Ira's full birthdate and place are given: 29 June 1870 in New Haven Twp., Macomb Co., Michigan. This information was given by Dr. BATES, who delivered Ira. 5. Clarissa died 17 September 1877 of consumption, and although the location is not given, there is inference it was in New Haven Township. Again, this information supplied by the wonderful Dr. BATES, who treated her for her consumption for about two years prior to her death. 6. I already knew that Levi had married a widow, Mary C. (FORD) COREY, but I discovered her birthplace: Orange County, New York. Old information: she was born c. 1831 and they married 16 December 1877 in New Haven Township. 7. Throughout the documents there were many different addresses (city and rural) given for Levi which helped me understand why he's been so hard to track. He and his family just moved around a lot. I'm still within the second phase of my analysis of sorting the documents in chronological order to determine the timeline of his residences. 8. While certainly not a highlight for poor Levi, I discovered why he qualified for a pension: he was 75% disabled due to a gunshot wound in his right chest sustained at Spotsylvania, Virginia on 12 May 1864. The ball never exited the body and was believed to be lodged in his lower lung or in his liver. This pension file is large because he requested numerous times for an increase in his pension. He was unable to work at his regular occupations of farmer and carpenter due to his disability, but occasionally worked as a teamster. 9. He was 5' 11" and his weight varied from 160 to 175 pounds, depending upon the documents and timeframe. He had a light complexion, light eyes and dark hair. 9. He died 6 March 1882 in Hamtramck, Wayne Co., Michigan (his death is not listed in the state death records found at FamilySearch Record Search). 10. He was buried 8 March 1882 in Chesterfield and Lennox Union Burying Ground in Macomb Co., Michigan. I believe this is probably now known as Hart Cemetery, also known as Chesterfield Union Cemetery. 11. His widow, Mary C. (FORD) COREY McLALLIN, died 11 February 1894. I've since been able to find her record at FamilySearch Record Search, but while the index information gives me her death location (Mt. Clemens, Macomb County), it does not list her parents' names (they were probably not given). The image given for the record is the first page only. There are many names of witnesses that I need to research, so this will keep me busy for some time! Other research reports for this past week include a couple of lookup requests (one for Kent County, Michigan; the other for Newaygo County), finding Sylvester FREDENBURG's grave location at Find A Grave's listing for Powell Cemetery in Romeo, Macomb Co., Michigan (Sylvester was the above Levi's son-in-law); receiving e-mails from a woman related to one of my great-grandaunts by marriage inquiring into the ABBEY family; and a descendant of the CHRISTIAN branch of MIDKIFF family trying to confirm names of children in that family group. I also heard from a HOLST descendant whose grandfather was the brother of my adoptive great-grandfather, Alfred Henry HOLST. Last, but not least, my dad sent me some more photos of his mother as a teen with her adoptive family members, including her dad, the aforementioned Alfred HOLST. 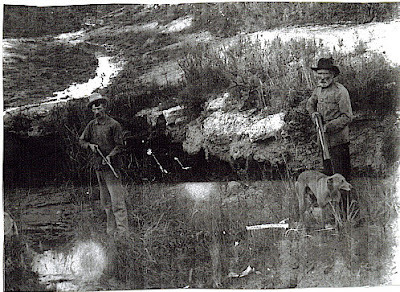 Dailey, William Jasper (at right) and son. C. 1910 - 1920. Original privately held by Jodi [--?--], [ADDRESS FOR PRIVATE USE,]. 2008. Digital copy privately held by Miriam Robbins Midkiff, [ADDRESS FOR PRIVATE USE,] Spokane, Washington. 2009. Lisa of Small-Leaved Shamrock has just posted the 11th Edition of the Carnival of Irish Heritage & Culture. "The Key to Ireland: Genealogists Seek Out Their Roots" features sixteen bloggers with a total of 22 posts written about their key locations in Ireland. With Thomas MacEntee's assistance, Lisa also illustrated her carnival with a Google Map, for which Thomas has written a tutorial over at Bootcamp for Genealogists. The theme for the 12th Edition will be the 2nd annual St. Patrick's Day Parade. Details here. Submissions are due March 14th. Tim Abbott of Walking the Berkshires has posted the Baker's Dozen Edition of the Cabinet of Curiosities. Head on over to read about and view the fascinating, interesting, off-beat and just plain bizarre items that end up in our collections. The 14th Edition will be published February 16th and Tim is looking for a host. Contact him here if you're interested. I'm always amazed to discover that an author of a great new genealogy blog with informative tips or posts written about research challenges does not allow comments on their blog! Why would a blogger not allow comments? I can think of several reasons initially sounding valid which I'll address here. The first reason I believe bloggers don't allow comments is that they are wary of spam, or inappropriate or rude comments. This is a very easy fix. If you use the Blogger/Blogspot platform, you can do one of two things (or both) to prevent these kinds of comments from appearing on your blog, while still allowing helpful and friendly comments to appear. Go to the dashboard of your blog by signing in at http://www.blogger.com and chose the Settings tab. Then choose the Comments sub-tab. Choose the following settings: for Comments, choose Show. For Who Can Comment, choose Anyone. For Comment Moderation, choose Always. Then add your e-mail address in the next field. This will send all comments to your e-mail address for your approval before publishing. Commenters will not have access to your e-mail address. Another choice is to choose Yes for Show Word Verification for Comments. This forces the commenter to type in a captcha "word" to verify that they are a live human being and not a spider (malicious program created to browse the web and leave spam or inappropriate comments). Make sure to save your settings at the bottom of the page. I choose to do both Comment Moderation and Word Verification. I rarely have a spammer leave a comment, and when I do, I can simply delete it right from my e-mail inbox. Easy! For WordPress users, go to http://support.wordpress.com/settings/discussion-settings/ for information on how to change your comments settings to allow others to comment, yet have control of what is published. I use WordPress as a backup for this blog, and I allow comments as long as the commenter provides a name and e-mail address. The comment is forwarded to my e-mail inbox (just like Blogger comments) for my approval. The second reason some bloggers don't allow comments is that they want to protect their privacy. I will address the issue of maintaining privacy yet still engaging in social networking in next Tuesday's tip, but I must say that unless you have a private blog (one that can only be accessed by a user name and password), your blog is out there for the world to see and read. Genealogists are an enthusiastic and helpful bunch and we love giving research tips and assisting each other. As long as you have preventative measures such as comment moderation and/or word verification, you have control over what can be said about your posts. The reason most bloggers start a genealogy blog is to be able to write about their ancestors and their research strategies. Both Blogger and WordPress (and a variety of other blogging platforms) are searchable by Google and other major search engines. This is how distant relatives--you know, the ones with the vintage photos and the evidence you need to break down your brick walls!--can easily find you. But they can't let you know they've found you if you don't allow comments! When someone has taken the time to leave a comment, don't forget to respond in kind, either at the bottom of the page of comments you've received, or at their own. Sometimes, the busy-ness of life prevents you from doing so in a timely manner, but do try to do it as often as you can. Now for the other part: Comment on blogs yourself! Spend some time reading other genealogist's blogs and take a few moments to praise them for their helpful advice, or give some of your own. Carnivals are a great time to do this. Connect with others and let them know you're reading their words. I still remember the thrill I received the very first time someone left a comment at my blog, or the time I got more than one comment on a post! As writers, we enjoy hearing from our readers. I even like it when someone catches a mistake and lets me know! You'll find that as you comment at other people's blogs, they'll come looking for yours. If you allow comments, you create a welcoming place for your readers and cause them to want to return and read more. Taneya has moved her blog here. There's been some Saturday Night Fun going on in a couple of Genea-Bloggers' neighborhoods. Randy Seaver at Genea-Musings has a weekly Saturday post called exactly that, and Mark Tucker at ThinkGenealogy has been sharing rebuses (remember those?). Speaking of Mark, he has an article in the latest issue of Digital Genealogist, as does Thomas MacEntee of Destination: Austin Family and Midge Frazel of Granite in My Blood. Congratulations to all of you! Lisa Louise Cooke of Genealogy Gems News has started a new ten-part series for the new year: Genealogy Strategies. Check them out! And by the way, I heard a little bird twitter that there's an article in the latest DAR publication by Maureen Taylor that mentions Amy! Hooray! Leland Meitzler is blogging once again at Genealogy Blog after some major hiccups! We missed you, Leland! Gena's Genealogy - High-quality, informative blogging. I especially like her new Sunday series, "Church Record Sunday," which explains what types of records are available for various churches, and where they can be found. 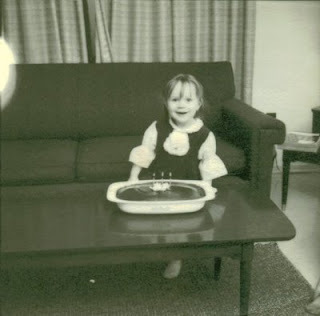 Miles' Genealogy Tips - Miles has a great post on scanning old photos. Who Will Tell Their Story? 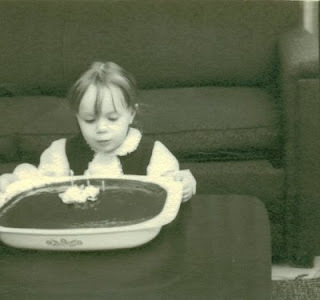 - This is Julie Cahill Tarr's new genealogy photography blog. We all know and love Julie from GenBlog! 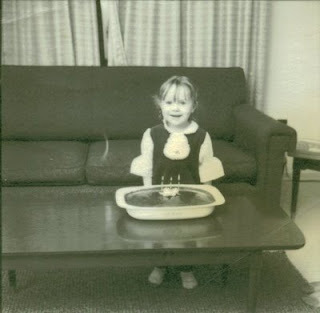 Random Thoughts - a personal (non-genealogy blog) by Brenda Joyce Jerome, CG. thomas 2.0 - The Blog - This is not a genealogy blog, but you sure can use it to help you with all your online activities (including blogging). Authored by our very own Thomas MacEntee. 1. Learning how your scanner works. 2. Scanning your photos to .jpg files. 3. Scanning your photos at a resolution less than 300 dpi (dots per inch). 4. Making room on your hard drive to store your photos. 5. Naming and filing all your scanned images as you go. 6. Scanning one image at a time. 7. Figuring out how to download and use Windows Live Messenger. Let's go through this list and determine how you can make Scanfest a fun and productive time, rather than a frustrating and inefficient experience. After all, I want you to get started on your large "To Scan" piles so that you can preserve your family's heritage, plus have a great time socializing and getting to know many genea-bloggers and other family historians and family archivists. If you have not yet tried out your scanner or perhaps not used it very much, this week is the time to do so. Find your owner's manual, instructions on CD, or the manufacturer's website and spend some time doing some scanning, getting used to the way the scanner operates and the software saves files to your computer. I'm not a scanner expert--and there are so many makes and models available!--so if you have questions about how your scanner works, refer to the manufacturer. This is a huge "no-no" in digital photo preservation. The .jpg or .jpeg (Joint Photographic Expert Group) file format compresses the image for easy transfer through e-mail. Think of your photo getting crumpled up into a tight ball to fit in a tiny box for easy shipping. Would you do that to your precious vintage photos? Absolutely not! Additionally, the digital image deteriorates every time you copy, e-mail, open, or save the file, and tiny bits of data from the image get lost. That is no way to preserve a treasured family photo! (Go to this page and scroll about 2/3 of the way down to see examples of how photos in this format deteriorate). Instead, you need to save your files in the .tif or .tiff (Tagged Image File Format) file format. This format is lossless, which means data is not lost when it is transferred. Naturally, you're going to have to spend some time with your scanner software learning how to enable it to save the scans as .tif files. You don't have to scan documents as .tif files. You may chose to save them in a .pdf (Portable Document Format) file, if your scanner software has that capability. From the original .tif file, you can make a copy of your photo and then save it as a .jpg if you wish to e-mail it or place it on your blog or website. Also, if you wish to enhance or repair the original digital scan, copy it as another .tif file and do your work on the copy in Photoshop, Paint Shop Pro, or other photo enhancing software. Always keep the original scan in .tif format and make copies to do anything else with the image! What if you've already scanned a bunch of photos as .jpg files and don't have the originals to rescan, such as when you've borrowed a relative's photo album? The second-best alternative to re-obtaining the originals to rescan them is to convert the .jpg files you have into .tif files. They probably will have some data loss, but by saving them in the .tif format, you can prevent further deterioration. Then proceed as mentioned in the paragraph above. DPI means dots per inch. We've all watched television on a screen with poor resolution and compared it with one with high resolution; the same idea is comparable to digital photos. Images scanned at less than 300 dpi have a poor resolution, and look blurry as you enlarge them or zoom in to view details. Most archivists recommend that you save images with a resolution of at least 300 dpi; Maureen Taylor, the Photo Detective, suggests a resolution of 600 dpi. Naturally, the higher the resolution of your image, the larger the file and you may be pressed for hard drive space to store many photos. I once spent nearly an entire Scanfest (three hours) cleaning up my nearly-full hard drive so I could have room for items I needed to scan. It was no fun, believe me! I've since added another drive to my computer so that shouldn't be a problem again for a long time. To see how much room you've got on your hard drive, go to My Computer and right click on the icon for your C drive (or whichever drive is your main hard drive). Choose Properties, then make sure you are looking at the information under the General tab. You can use Disk Cleanup to help you free up space, but make sure you don't delete programs that you really need to use, even if you don't use them often. Also, don't delete unused Windows components unless you are positive you still have your original Windows Operating System disk (lesson learned the hard way!). You will definitely want to spend some time renaming your files something other than the long multi-digit number your scanning software assigns each image, and you'll also want to file your images in the correct surname folder or wherever your digital filing system dictates. However, this does take time and it's easy to lose your place in this task if you're chatting with other Scanfesters. My solution is to create a Scanfest folder with that day's date ("Scanfest 2008 01 25") in the My Pictures folder of My Documents and save all the images I've scanned to it. Later after Scanfest, I go back through, rename, and file the images in their correct surname folders. If you have a flatbed scanner, you should be able to get several photos on the bed at once, saving time. I always scan the reverse (backside) of my photos to capture any captions or dates. I do this even when there's nothing written on the back, just to show I've checked for captions. 1. Windows users go here to download. Mac users go here. 2. You can use various e-mail programs or your Live account as a user name for this program. I suggest using a Hotmail or Gmail account, rather than Yahoo! email or your Live account. Hotmail and Gmail user names just work better, in my experience, especially with Scanfest. If you don't have a Hotmail or Gmail e-mail address, you can set one up for free by clicking on the links in this sentence. While I use a Hotmail address as my user name (kidmiff@hotmail.com) for Scanfest, if I were to do it all over again, I'd use my Gmail address. 3. After you're set up, open the Windows Live Messenger program. In the menu bar at the top of the window, go to Contacts and choose Add Contact. Enter kidmiff@hotmail.com into the Instant Messaging Address field and then put in a short message about wanting to join Scanfest in the Personal Invitation field. I'll be checking my account frequently this week and I'll add you to my Contacts and my Scanfest Group list. You can also send me an e-mail at kidmiff@gmail.com to request that I add you. 4. Spend some time practicing chatting with others to get used to the program, especially if you've never chatted before. I will make a point to keep Windows Live Messenger on this week, so if you've added me as a contact, sign in frequently during the week to try to catch me, and we can spend a little time chatting so you can practice. You don't want to have to try to learn how to scan and how to chat all at the same time! If you don't have cotton gloves to use while handling your photos during Scanfest, call your local art supply or professional photographer's supply store to see if you can purchase a couple of pair. My local supplier sells two pair for $8.95. You can also order them online at Archival Gloves. If you can't obtain them before this coming Scanfest, try using clean cotton gardening gloves or even those cheap knit ones you can get for two pairs for a dollar at Wal-mart; anything to keep the natural oils in your skin from touching your photographs' surfaces. George Geder at Shades of the Departed: The Healing Brush says, "Clean the scanner plate with damp lint-free cloth. Avoid using chemical cleaning solvents (Windex, Pine sol, Mr. Clean) and let dry before placing your photograph." Make sure the scanning plate dries thoroughly before placing any photos or documents on it. I temporarily tape a piece of black construction paper on the inside white lid of my flatbed scanner before each Scanfest. This allows me to easily see the white edges of my photographs in the scanned images. Make sure you backup your scans on high quality CDs or DVDs and store them at a location away from your home. You may wish to consider an online backup service, such as Carbonite, which I highly recommend. There's a lot of information here, but I believe that following these recommendations will improve your scanning skills and help you have an enjoyable time doing this necessary task, plus getting to know others with similar interests. See you Sunday! Winter Photo Essay: Head on over to Creative Gene to find 31 submissions from 30 bloggers who are featuring their favorite winter photos, from the present to their ancestors' vintage winter shots. My submission is two photos of my 4' 11" great-grandmother, Marie LEWIS, taken when she was a teenager and again as a young wife and mother. Be sure to wear a sweater and have a mug of your favorite hot drink handy as you read through this edition! The topic for the next edition of the Carnival of Genealogy is: "The Happy Dance. The Joy of Genealogy. Almost everyone has experienced it. Tell us about the first time, or the last time, or the best time. What event, what document, what special find has caused you to stand up and cheer, to go crazy with joy? If you haven't ever done the Happy Dance, tell us what you think it would take for you to do so." This next edition will be hosted by Becky at kinexxions. Thanks Becky! The deadline for submissions is Feb. 1st. Submit your blog article to the next edition of the Carnival of Genealogy using our carnival submission form. Please use a descriptive phrase in the title of any articles you plan to submit and/or write a brief description/introduction to your articles in the "comment" box of the blogcarnival submission form. This will give readers an idea of what you've written about and hopefully interest them in clicking on your link. Thank you! Jasia has also listed all the coming topics for the 2009 Carnivals of Genealogy, along with their hosts in the bottom left column of her blog. Contact her if you would like to be a future host. Back in November, I wrote that I had discovered MyCanvas through Ancestry and was very excited about making family calendars for Christmas presents with this creative application. I thought I would share my experience as a customer and also the responses of family members who were recipients of these gifts. First of all, I ended up making five different calendars with two themes. The first theme was called "Postcards from the Past" and featured some postcards from the collection of my husband's paternal great-grandparents, George Rice WESTABY, III and Rena (LERFALD) WESTABY. You can see images from this calendar from an earlier post I wrote here. I made three sets from this calendar by simply copying my original, which had the birthdays and anniversaries of all of George and Rena's living descendants printed on their respective calendar days. From this original, I tweaked one calendar by removing some of the birthdays and anniversaries to show only the information of my parents-in-law and their descendants. My husband's parents, siblings, his dad's siblings, and some of his adult nieces and a nephew received these calendars. I also made one for my household, but then added birthdays and anniversaries of my family members. For my own extended family, I made a seasonal theme calendar (the default theme that comes with MyCanvas calendars). I called this one "A Celebration of Memories" and it featured modern photographs of family members' birthdays, anniversaries, and reunions, along with quotes about family. This calendar also had two sets: one for my parents, which had birthdays and anniversaries of both my parents' extended family members; and one for the rest of the family that focused on the special days of my parents and their descendants. One of the best features of this application which I really appreciated was the ability to duplicate the calendar theme with all the backgrounds, embellishments, and uploaded photographs and images--like the postcards--yet have the calendar information be unique to each household or a group of households, if desired. Using MyCanvas is free, and you don't have to have a subscription to Ancestry to use it. Simply visit http://www.ancestry.com and chose Print & Share, or go directly to http://mycanvas.ancestry.com. You can decide to use your own printer for your projects, but I figured the paper quality would be better through MyCanvas' printing process, and the cost of ink for my printer would be phenomenal; so I willingly paid the order price for printing. Normally $19.95 per calendar, I was able to use an online coupon that was visibly advertised on the site at the time to receive a 20% discount. Since I finished my projects so close to Christmas, the reduced price helped offset the extra money I spent in expedited shipping. I shipped two calendars to my parents-in-law; one for them and one for my sister-in-law's family. The rest I had shipped to my home to either give in person or to ship with other gifts I was sending to family members located across the country. All the gifts arrived on time at their original destinations, which is saying a lot, considering the record amount of snowfall we received in Washington State and in Spokane in particular the week the gifts arrived. I believe MyCanvas' use of UPS as the shipping agent was key, as other items I had ordered through other companies which were shipped via FedEx arrived much too late to be given on time for Christmas. Remember, weather played a huge factor in shipping to this area. The responses I received from family members were everything I hoped for, and more! From my husband's family, we heard many thanks and exclamations at how beautiful the calendars were. 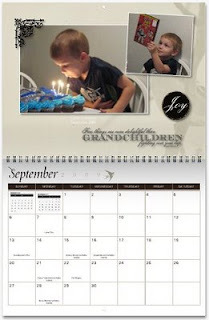 They loved the idea of seeing their family history displayed in an attractive and useful way; after all, everyone needs a calendar, and this was a way to ensure that a little bit of Westaby and Lerfald history was noticed each month. My own family members enjoyed the modern photo calendar as well, and I've already planned to do a historical one for them next year. There were only two issues I had with the calendars. One was that one of the calendars made for my extended family had a slight torn corner on the cover of about 1 centimeter wide. This was not shipping damage; the torn corner appeared under the shrink-wrap, and I imagine that the damage was done during the shrink-wrapping process. The other issue was that one notification e-mail was not sent to me. MyCanvas was very good about sending e-mails both when an order was completed and when the order was shipped. They arrived in several shipments of one to six calendars each, depending upon the number in each set I had created. The calendar I had created especially for my household did not arrive with any of the others, and I did not receive an e-mail regarding its shipping (I double-checked my Spam and Trash folders of my e-mail account, just to be sure) . Since it was not a Christmas gift for other family members, I was not overly anxious, but I did call Customer Service to see if they could track it for me. They did, apologized for the lack of e-mail, and assured me it was on its way. UPS delivered it on Christmas Eve. The Customer Service personnel I talked with were warm, eager to please, and efficient. I so enjoyed my experience with MyCanvas and am anxious to use them again, not just for calendars, but for photo, recipe, and family history books. Some suggestions I have for the company is that they increase the number and variety of embellishments to include more military, immigration, vintage, seasonal, year-round holiday and seasonal items. I'd also like to see them expand to print stationery items, such as notecards, envelopes and bookmarks. While I can use other online printing companies to create a set of matching notecards and envelopes with my ancestors' photos or documents, I'd like to be able to keep all my creativity in one place, and use embellishments and backgrounds to enhance them. My experience with MyCanvas was deserving of an A- grade. The slightly torn corner was my only real issue, but I as I've reiterated before, I will use MyCanvas again (and again!) to continue to create gifts and preserve our family's heritage in a meaningful, aesthetic way. If you'd like to know more about using MyCanvas, you can read selected posts at the Ancestry.com blog here. Also, this coming Wednesday, January 21st, at 8:00 PM Eastern Standard Time, Ancestry will host a live free webinar (online seminar) on "Using MyCanvas to Print and Share Your Family Stories." You can register for it here. If you're unable to attend the webinar live, you should be able to access it in the archived webinars at a later date; however, you will not have the advantage of live assistance and immediate responses to your questions. You do not need to have a subscription to Ancestry to either particpate in live webinars or access their archived ones. I really didn't have any time to do research this week, as it was my first full week of work (last week, there were three snow days, so I only worked Tuesday and Friday). Not only did I not have a lot of time to research, but I was often pretty tired when I returned home each afternoon. Additionally, I started teaching my latest Beginning Online Genealogy class on Thursday, a four-week class, for the Spokane County Library District. While I didn't even get to some of the e-mails to which I intended to respond, I did hear from a newer genea-blogger, Andrea Christman. It seems we may be connected through the WILLIS line. If this pans out, Andrea will be the fourth genea-blogging cousin I've discovered since I started this blog nearly three years ago (Randy, T.K. and Bill are the others)! I'm very excited to hear from Dale Nielsen that a film which will eventually be aired on PBS is in the works about the Polar Bear Division which fought in North Russia at the end of WWI (my great-grandfather served in that division)! Dale and I have also been corresponding about a Civil War photo he donated to the Archives of Michigan, which I believe features the two DICKINSON brothers of my 3rd-great-grandmother. footnoteMaven has just published the 9th Edition of the "I Smile for the Camera" Carnival - "Who Are You" over at her Shades of the Departed digital publication. Forty-seven bloggers posted their "strangers in a box," hoping to find some answers to their mysteries. Maven, I think you may have to publish an encore edition, as I'm sure these photographic puzzles shared are only the tip of the iceberg of some very deep boxes! Deadline for submission is midnight (PT) 10 February 2009. Posted - 15 February 2009. Harazim, Pam. "Strangers in the Box." Date unknown. Viewed 16 January 2009 at http://www.scrapbook.com/poems/doc/8365/112.html. I've got lots of modern winter photos, but I went through my collection of scanned vintage ones, and figured out that these two were the oldest winter ones I have. The top one is of my paternal great-grandmother, Marie LEWIS, taken during the Winter of 1916 - 1917, when she was 14 years old. I believe she is in the backyard of her parents' home at 1132 Hoyt Street in Muskegon Heights, Muskegon Co., Michigan. That appears to be the same setting for the next photo, which features Marie, her husband William Bryan ROBBINS, Sr., and her two sons William Bryan ROBBINS, Jr. and Robert Lewis ROBBINS (holding the cat). Bob was my grandfather. It's also possible that it was next door at 1140 Hoyt Street, since Marie and Bryan were living next door to her parents at that time (Winter 1924 - 1925). I especially love the beautiful coats everyone is wearing in this photo. With her cloche hat and fur-trimmed coat, Marie is certainly showing the flashy side of the Roaring Twenties! Written for the 64th Edition of the Carnival of Genealogy. 1. Lewis, Marie. Winter 1916-17. Scan of original held privately by Joyce Robbins Sanders, [ADDRESS FOR PRIVATE USE], Tulsa, Oklahoma, 2009. 2. The Robbins Family. Winter 1924-25. 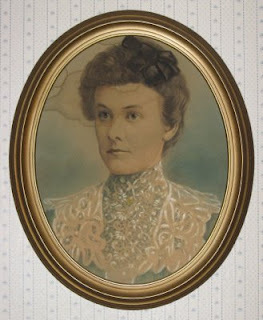 Scan of original held privately by Jeanne Holst Robbins, [ADDRESS FOR PRIVATE USE], Sault Ste. Marie, Michigan, 2009. Holst, Nellie May (Concidine). Photographed and hand-colored c. 1905 by unknown photographer, Western Michigan. Privately held by Miriam Robbins Midkiff, [ADDRESS FOR PRIVATE USE,] Spokane, Washington. 2009. When I planned this series of tips several weeks ago and prewrote them, I had no idea that another blogger would have the same topic posted this week (Amy, get out of my head!). Actually, it confirms the theory that great minds think alike! The next step towards getting more traffic to your genealogy blog is to participate in carnivals, memes, and challenges. Meme: Like a giant game of blog tag, a meme is usually a writing prompt on a concise topic. Bloggers answer the questions provided or write a mini-essay on the topic, then choose a certain number of other bloggers to do the same thing. Oftentimes they are simply silly, fun games similar to social icebreakers. 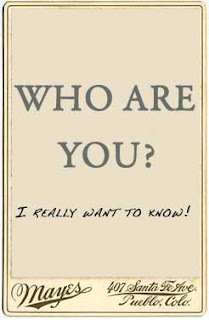 They're a great way to get to know the personal sides of other genealogy bloggers and for them to learn about you. One recent meme has been 99+ Genealogy Things. Challenges: These are similar to carnivals in that they are written on a (usually) serious topic that may require a bit of research and time to write a factual or focused post; thus the word "challenge." Like a carnival, there is usually a host that puts out the challenge and may even have a wrap-up post with links to all the bloggers who participated, although this is not always the case. Whereas the carnivals, like magazines, have multiple editions and continue to digitally publish each issue on a regular basis, a challenge tends to be a one-time or perhaps an annual occurrence. 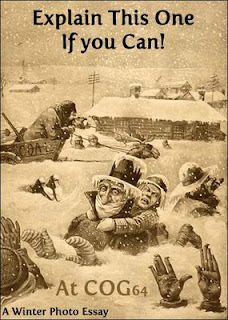 A recent challenge, although it was not labeled such, was Denise Olsen's Christmas Tour of Blogs. Readers and other bloggers are attracted to carnivals and challenges because they showcase concentrated research, excellent writing, and heartfelt stories. Many of the carnivals are widely read, even by those who may not be that interested in genealogy. If you have a program that tracks your site statistics, watch your readership numbers climb when a carnival you've participated in gets posted! Memes, too, are a great way to get your as-yet-unnoticed blog some attention, just like jumping into a game of tag on the playground of your childhood years was likely to bring you new friends! On the first day of every month, I publish the Calendar of Events with deadlines for all the known carnivals and challeges. If you are a member of the Genea-Bloggers Group on Facebook (more on that in a later post), Thomas lists the events in the right-hand column of the group page. Click on any one for more details on that event: deadlines, hosts, topics. He also has the events in a handy Google Calendar which you can merge with your own Google Calendar; there's even a tutorial provided to show you how to do this! Carnivals generally have a digital form at the Blog Carnival site to submit posts. I wrote "How to Submit a Post to a Carnival" to help with that process. Challenges will usually have participation directions listed in the challenge post of the host blogger. To find memes, keep an eye on your favorite genea-bloggers as most will participate in current memes. If you don't get tagged to participate, start your own! Don't be afraid that your writing or research skills may not be "good enough" for a carnival or challenge. Stick with the topic and do your best; writing, like any skill, improves over time, and we genea-bloggers are a welcoming and accepting group, learning from each other. Down the road you may be confident enough to guest host a carnival, and that, too, will bring much traffic to your site. I hope to "see" lots of new faces at the next carnival, challenge, and meme!